interest to change the game, a process he initiated by suggesting the use of voxels in OpenTTD. This suggestion however didn't receive any greater feedback, and facing the objections about voxels requiring the use of more memory, he had no other choice than to abandon it altogether. -"I had a short stint with the Japan Set working on landscape objects, towns and buildings. And there was the North American Building Set that later got swallowed back into the CanSet, and the modification of Zimmlock's Total Town Replacement Set, TTRS 2, to be compatible with the tropic and arctic climates, but later on turned into a complete re-work. I worked on a lot of station .grf's, P:GS came and went and the stations included saw numerous incarnations"
-"There was the unfortunate incident with the "stolen trees" and the minor fallout when somebody got their hands on it! Also, I wish I never let myself get sucked into some of the politicking and drama, but I was very young at the time and susceptible to flying off the handle when I felt like I was being bossed around. I'm not the most patient person in the world even now and I had an even shorter fuse when I was younger". -"To be honest, the time I spent within the Transport Tycoon community and the time outside of the community flew by without me knowing, not to mention all those hours in #tycoon and its various offshoot channels on IRC. I also admit that the fiasco with OpenTTD's BaNaNaS-system frustrated me deeply. So many .grf's that were supposed to never see the light of the day again were uploaded, and with the "no-removal-policy" despite the legal rights of the content creator, it was frustrating to say the least. How much of that was over-reaction on my behalf? Who knows?" -"There was a rather tidy little project that I was working on that never got completed, unfortunately. 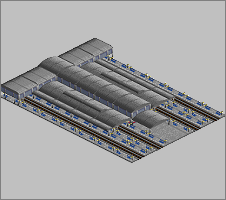 It was a two part set, a refresh of the suburban stations from the old P:GS that the original artist Cornelius sent me his unfinished sprites for which I had also put considerable amounts of time into expanding. And there was a brand new set of freight stations I was drawing from scratch that was being made to complement it. I've been sitting on the sprite sheets now for quite some time, I hope to one day finish this project off and get it in-game." 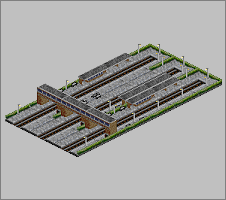 graphics used in Transport Tycoon. Is it a waste of time and a completely unrealistic thought to predict additional games in the transport simulation genre in the future? Although not for mobile devices, but rather for the PC market in the same vein as its predecessor, Transport Tycoon Deluxe? And by all means, is there a big enough and stable market base for a game developer to even consider a step in that very direction? Until recently no less than two new games have been released focusing on this concept alone, Transport Tycoon produced by Chris Sawyer's 31X Ltd in collaboration with Origin8, and Transport General by Navigation-Info Kft, both of them particularly focused on games for mobile devices and social medias. And perhaps is part of the answer right there? In all fairness it should be mentioned that there hasn't really been a lack of games focusing on railways or railway transportations in comparison to the specific genre itself. Way back in 1990 Sid Meier debuted with his Railroad Tycoon, a game adventure which ended in 2006 by the release of Sid Meier's Railroads. But unlike Chris Sawyer's approach and ambitions Sid Meier focused on a three-dimensional virtual world that wasn't directly optimized for single player games. 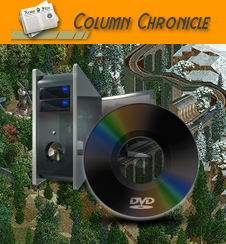 And there have been other games during the years including Traffic Giant, Transport Giant, Rails Across America, not to mention a number of train simulation games such as Trainz, generally large complicated software packages modeling a 3D virtual reality world, allowing for users to interact by stepping inside the virtual world. Worth mentioning is also the A-Train series, first version released as early as in 1985, (ported to Win95/Win98 in 2000), and followed by a number of sequels, up to this point with A-Train 9 as the last one with A-Train 3D still in development. And as we speak, behind the scenes at the newly established Urban Games the development of their debut game, Train Fever, a game in the same similar vein as Transport Tycoon, continues toward a 2014 release. And similar to Sid Meier's approach also this game is set in a three-dimensional virtual world. But in all honesty, is a three-dimensional virtual world the ultimate way to go when it comes to games focusing on the transport simulation genre? Perhaps more importantly and above all very interesting is that in addition to these original products there is also a fairly extensive development in online gaming communities initiated by the fans themselves. And the result of these initiatives has given users access to additional alternatives, including the two largest OpenTTD and SimuTrans. Both of them released as open source versions and providing users with great scope and flexibility of the games appearance, structures and complexity. And development is still ongoing even though it's almost two decades since Chris Sawyer debuted with the original version of Transport Tycoon Deluxe. Actually despite the fact that both these open source games are based on the 2D concept. Or perhaps simply because of it! It doesn't necessarily come as a surprise that a number of fans getting their hands on the two latest games for mobile devices has expressed a desire to see new games in the genre also for the PC-market, and undoubtedly with all this in mind it should be rather clear that there is still room for more as far as the transport simulation genre concerns. But a success may require an eye that can distinguish between the pros and cons of 2D and 3D environments, and more specifically, which one of them brings the optimal advantage for its purpose. a wide margin of personal solutions, custom additions and in particular an almost inexhaustible freedom when it comes to their own individual game setup and overall preferences. Despite the fact that transport simulation games for mobile devices and social media applications has seen the light of the day, it is also true that they will never become anything but so called "waiting room games", games that are played with a half-hearted focus on the bus, in between real life tasks, or whenever we need to escape for a shorter period of time. What is required is a game developer who believes in the concept, who believes in a transport simulation game future, and ultimately who believes in the large crowd of fans that exists out there! evidence that the community has made a very well deserved choice during this ballot. According to a press release statement from Simuscape officials, the election was quite a thrilling race this time with two nominees getting nearly 95 percent of all the submitted votes, but with Joseph Drexler receiving as little as a one vote advantage in the end. Simuscape officials also announces a permanent solution for a more suitable Transport Tycoon Hall of Fame chamber to be implemented later this year. With this second issue of eScape Magazine we have done our best to create something that is pleasant for your eyes, easy to read, and at the same time gives you a good overview of the content. But it may not be to your likings at all. And that's why we need your honest opinions to give us an idea about what needs to be changed or improved, anything for the sake of creating the optimal eScape Magazine! Tell us what you think! Any response is appreciated! Thank you in advance! 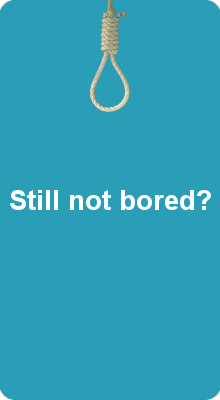 Tell us in our forums! 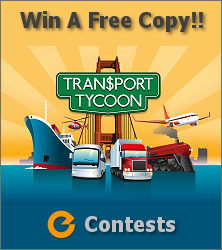 Not yet tried out Transport Tycoon for mobile devices? Now is your chance! Tell us using no more than 25 words why you should be the winner of a free copy of the game by 31X Ltd. and Origin8 Technologies. The jury formed by Simuscape officials will judge the submitted entries and announce the winners in the December issue of eScape Magazine. Don't forget to send us your entry no later than November 25th 2013! Comments submitted, including name or alias, are published below once approved! Copyright © 2013-2014 Simuscape, All rights reserved.